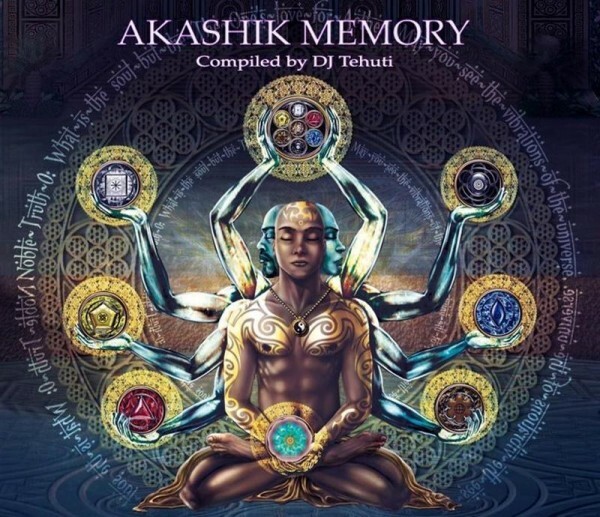 Akashik Memory is an epic psychedelic masterpiece decoded by DJ Tehuti and released by Akashik Record to activate dance floors and promote high frequency awareness all around the world. The Akashik Memory uplink has begun transmitting from the Galactic Core toward Planet Earth culminating on its peak transmission around December 21st, 2012! All sentient lifeforms across Earth will have their operating systems upgraded and Humanity will become part of the Galactic Federation of Light. We welcome you, Humans of Earth, and we are excited for your upcoming galactic awakening! Transmission mastered by Alien Mental @ Echo Vortex Laboratory. Artwork designed by Fred “The Alchemist” Andrews IV.